The Tiriyó living in Brazil have shared the western portion of the Tumucumaque Indigenous Park (T.I.P.) from the end of the 1960s with the Katxuyana and Txikuyana groups, as well as members of the Ewarhuyana and Akuriyó groups. Some Tiriyó families are located in the eastern portion of the T.I.P., living in closer interaction with the Aparai and Wayana occupying the middle and upper courses of the Paru de Leste river. In Suriname, where they live in greater number than in Brazil, the Tiriyó are located on the Tapanahoni, Sipariweni and Paroemeu rivers. The Tiriyó experience of coexisting with non-Indians, both in Brazil and Suriname, occurred relatively recently from the 1950s onwards following the arrival of military personnel and missionaries. Other government and non-government agencies have also been working in the region since the 1990s. Until the 1960s, the period when missionaries arrived in their region, the ancestors of the contemporary Tiriyó conceived of themselves as members of different groups with their own denominations. These groups related between themselves and with other neighbouring indigenous populations through exchange networks, warfare, migration and trade. Sharing a broad expanse of lands, they considered themselves generically as Tarëno, a term meaning "those from here" (from this region) and employed by people from a number of different groups, including those identified by written and oral sources as the Tiriyó themselves and others such as the Aramixó, Aramayana, Akuriyó, Piyanokotó, Saküta, Ragu, Yawi, Prouyana, Okomoyana, Wayarikuré, Pianoi, Aramagoto, Kirikirigoto, Arimihoto and Maraxó. Following the arrival of Franciscan missionaries on the Brazilian side of their lands, and Protestants on the Suriname side, all these groups were grouped under the name ‘Tiriyó’ in Brazil, and ‘Trio’ in Suriname. They became more widely known by these generic names and thus began to use them in interethnic contacts, without, though, ceasing to refer to themselves in their own language and among their own as Tarëno. Foto: Denise Fajardo Grupioni, 2001. The region inhabited by the Tiriyó is politically divided between Brazil and Suriname. Their lands extend from the north of Pará state – traversed by rivers that flow into the Amazon – to the south of Suriname. The main affluents of the Amazon that cross the Brazilian part of the lands are, from west to east: Marapi, Paru de Oeste, Citaré and Paru de Leste. The Sipariweni, Tapanahoni and Paroemeu rivers rise inside and flow through the Surinamese portion of their lands before finally reaching the Atlantic Ocean. These rivers on both sides of the border possess numerous waterfalls and rapids that severely hinder navigation. This geographic barrier, allied to historical factors, has been responsible for the relative isolation and lack of outside knowledge of this border region over the centuries. In Brazil, the Tiriyó, along with some neighbouring groups (principally the Katxuyana, Txikuyana, Wayana and Aparai), inhabit the Tumucumaque Indigenous Park, ratified in 1997 through Decree 213, published in the Federal Official Gazette on 04/11/97. The area covers 3,071,067 ha, located in the north of Pará state and northwest of Amapá state in the municipalities of Oriximiná, Almeirim, Óbidos and Alenquer. The Tumucumaque Indigenous Park is traversed longitudinally by two river basins: one formed by the Paru de Oeste and Marapi rivers, the other by the Paru de Leste and Citaré rivers. Currently, the Tiriyó located in Brazilian territory are divided into two demographic groupings located in each of these basins. The Tiriyó of the Paru de Oeste/Marapi basin, along with the Katxuyana, are distributed along the middle and upper courses of these rivers. In the Paru de Leste/Citaré basin, the Tiriyó are predominantly found on the headwaters, while the Wayana and Aparai live on the middle course. The Tiriyó have lived for centuries within a multilinguistic environment, historically coexisting with the immense dialectical and linguistic diversity of the Carib, Tupi and Arawak groups of the Guiana region, as well as African groups and descendants of escaped slaves who populated the region. In addition, having lived on both sides of the Brazil/Suriname border for more than a half century, the Tiriyó on the Brazilian side interact closely with speakers of Portuguese and German, while those living in Suriname communicate frequently with speakers of Dutch and English. Hence, as well as their own language, the Tiriyó speak – or at least understand – the languages of the groups, agents and countries with whom they maintain close relations. 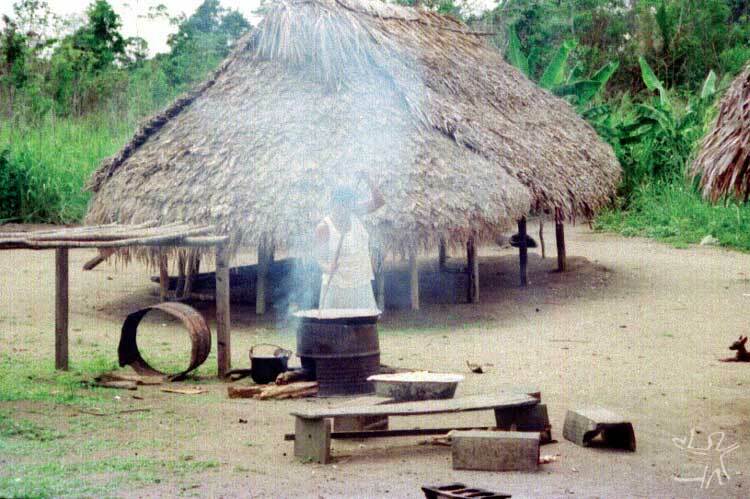 In 2001 the Tiriyó population living in Suriname was estimated at 1,400 people (Boven). For the Tiriyó living on the Brazilian side, the regional office of Funai in Macapá recorded a total of 939 people for the year 2003, including the Katxuyana population and other groups occupying the Tumucumaque Park with the Tiriyó. Combining both estimates, we reach a total population of approximately 2,300 people for the region inhabited by the Tiriyó on both sides of the border, during that period. 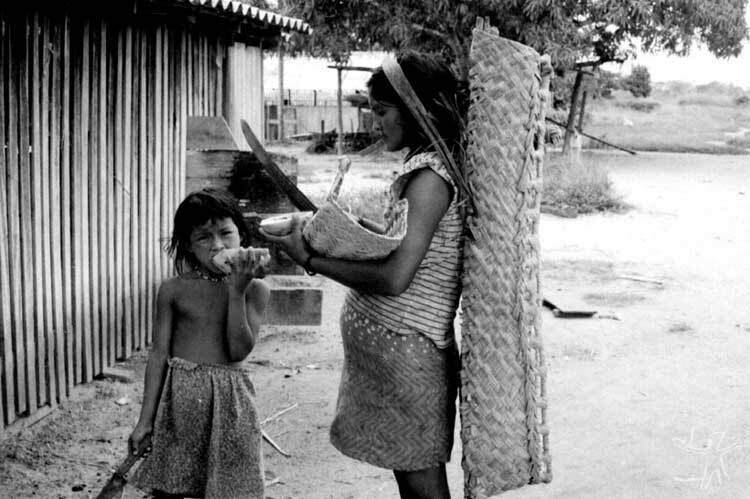 A demographic analysis of the Tiriyó population in 1997 was undertaken by a team from the Centre of Applied Statistics of the University of São Paulo, composed of Professor Sérgio Wechsler and by the students Alexandre Damasceno and Ana Laura de Holanda Cavalcanti. In the year in question, the Tiriyó totalled around 512 people, sharing their territory primarily with members of the Katxuyana group (around 70 people) and, in smaller numbers, with survivors of the Ewarhuyana and Txikuyana groups, as well as a few members of the Akuriyó and Wajãpi groups. Due to the intense network of intermarriages, especially between the Tiriyó and Katxuyana, about 200 people belonged to ‘mixed ethnic groups.’ In total, around 808 individuals made up the population of the Paru de Oeste/Marapi basin in 1997. Also in 1997, 60% of the population (around 460 people) lived close to the Tiriyó Mission village. The remainder (about 350 people) were distributed among 21 different localities, 19 of these sites along the Paru de Oeste river, and two on the headwaters of the Marapi river with the number of inhabitants per village varying from 2 and 80 people. At the start of the 1990s, around 50 Tiriyó who had migrated to Suriname over the previous three decades returned to Brazil following disputes with the Surinamese government and headed towards the Paru de Leste river in the eastern portion of the Tumucumaque Park. 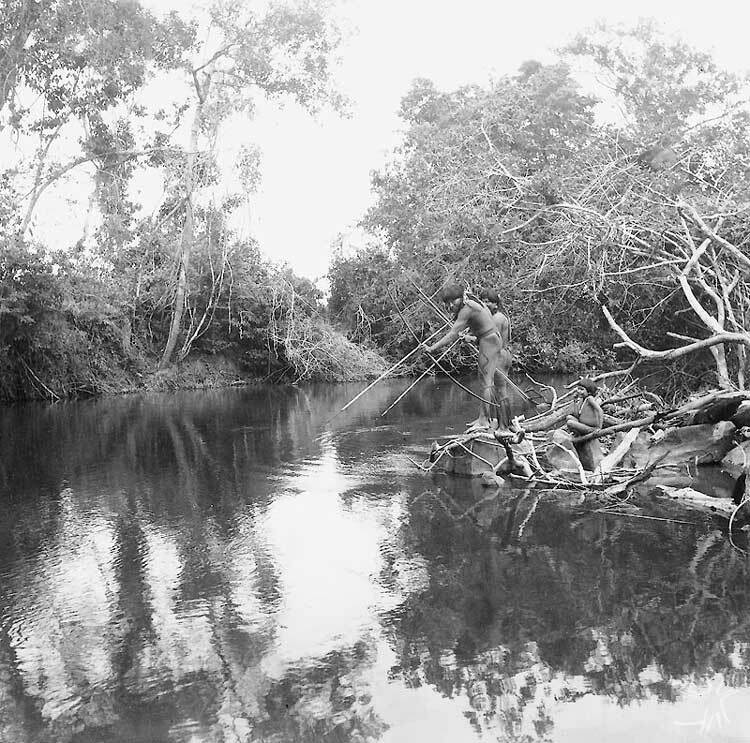 A small group settled on the headwaters and another group journeyed downriver as far as the middle course of the Paru de Leste to settle among the Wayana and Aparai at the Apalaí Indigenous Post. In 1997, this population had already grown to 74 individuals who, combined with the 512 from the Paru de Oeste/Marapi, totalled around 586 Tiriyó on the Brazilian side. In Suriname, estimates for this year suggest around 1000/1200 Tiriyó were living along the Sipariweni, Tapanahoni and Paroemeu rivers, along with some members of the Akuriyó, Waiwai and Wayana groups. Examining this table, we can see that the Tiriyó population grew over the course of the 20th century. However, a sharp decline is clearly evident during the middle part of the century, followed by a steady recovery with the population in the final decade of the century practically double the figure for the first decade. It is tempting to correlate the demographic decline during the first half of the 20th century with the sudden increase in the exploration of the region on both sides of the national border by travellers, adventurers and expeditions – official or otherwise. This supposition needs to be treated with caution, though, since the sources available for the period are imprecise in terms of the demographic groupings included in the total figures. Hence questions remain concerning the demographic profile during this period. 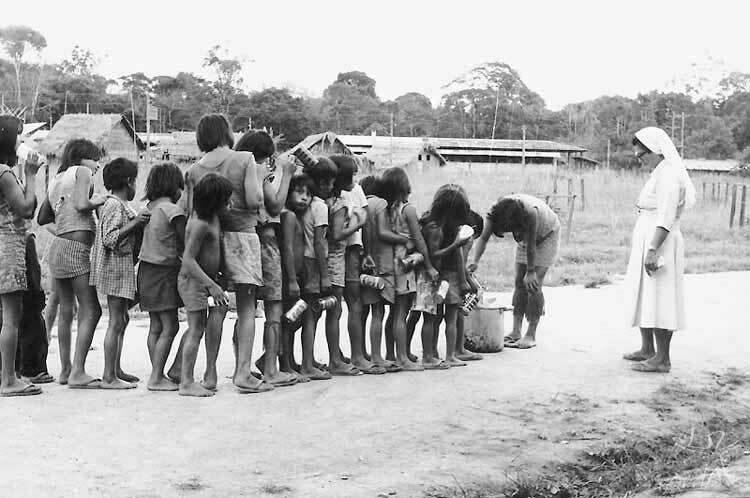 However, during the following period, spanning from the 1950s to the beginning of the 1960s, there is no doubt that the Tiriyó populations on both sides of the border fell to their lowest levels. 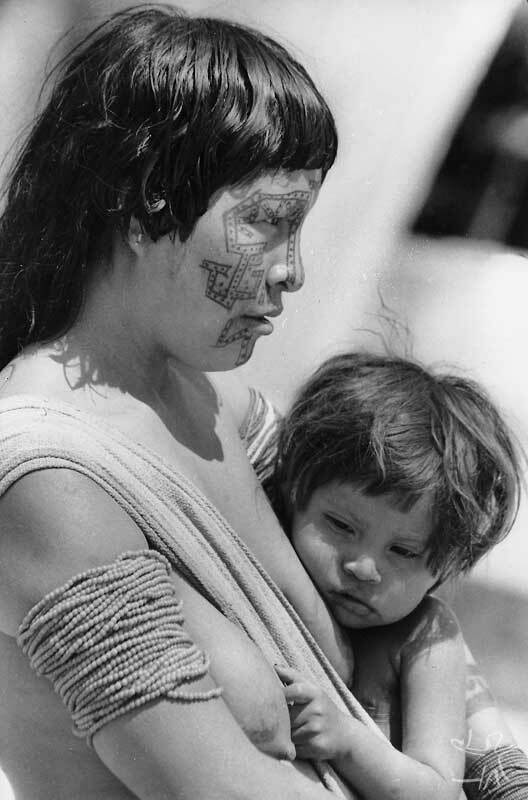 Frikel (1960) notes that the Tiriyó population on the Brazilian side declined by at least a third during the 1950s due to various expeditions originating in Suriname. As the author relates, during his travels through the Tumucumaque region in 1952 he was able to confirm personally that these expeditions had led to the deaths of at least 25 Indians from respiratory infections and an epidemic of chronic furunculosis. In 1958, he recorded to deaths of another 17 Indians due to gonorrhoea and influenza or colds. Based on the sources, this demographic decline began to be reversed on both sides of the Brazil-Surname border during the second half of the 1960s when medical care was introduced by Protestant missionaries in Suriname and by Catholic missionaries in Brazil. Currently the Tiriyó population of the Paru de Oeste/Marapi displays stable demographic growth with an average annual rate of 4.6% between 1981 and 1997. O General Rondon diante de três Tiriyó. Foto: acervo Comissão Rondon, 1928. The first reports concerning the groups who would later form the present-day Tiriyó date back to the 17th century. However it is only in the second half of the 20th century that they abandoned their relative state of isolation vis-à-vis the whites. Before then, they had maintained a dense network of exchanges and warfare among themselves and with other neighbouring indigenous groups, as well as trade relations with the Mekoro (refugee black populations from former Dutch Guiana) from whom they obtained manufactured goods in exchange for native products. Their contacts with whites were indirect and sporadic, restricted mostly to the visits of travellers to some of their villages. Until 1950, written and oral sources report a few direct contacts of ancestral groups of the Tiriyó with whites. In 1906, Goeje, a Dutch lieutenant, visited a number of villages and collated the first detailed information on the group. 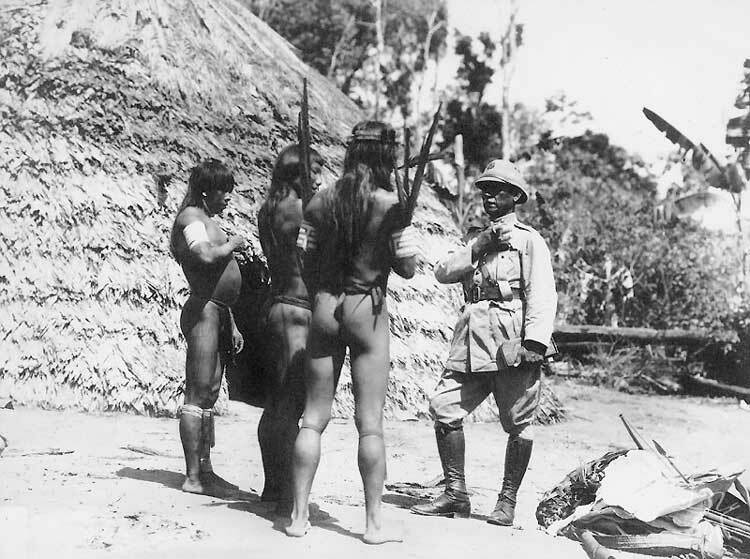 In 1928, during a border inspection patrol, General Rondon encountered the ‘Maratchó’ and the ‘Ragú-Prouyana.’ Nine years later, Commander Braz Dias de Aguiar made contact with the Maratchó of the upper Panamá river and with groups located on the headwaters of the Marapi, Cuxaré and Paru de Oeste rivers. Also during the first half of the 20th century and up until the 1950s in particular, some adventurers and expeditions maintained sporadic but harmful contacts with groups from the region, introducing serious diseases and significantly increasing the number of deaths in the region's settlements. This situation only began to alter in the 1960s with the arrival of religious missions in the area. On the Brazilian side, Brother Protásio Frikel settled among the Tiriyó as a precursor to establishing a mission. 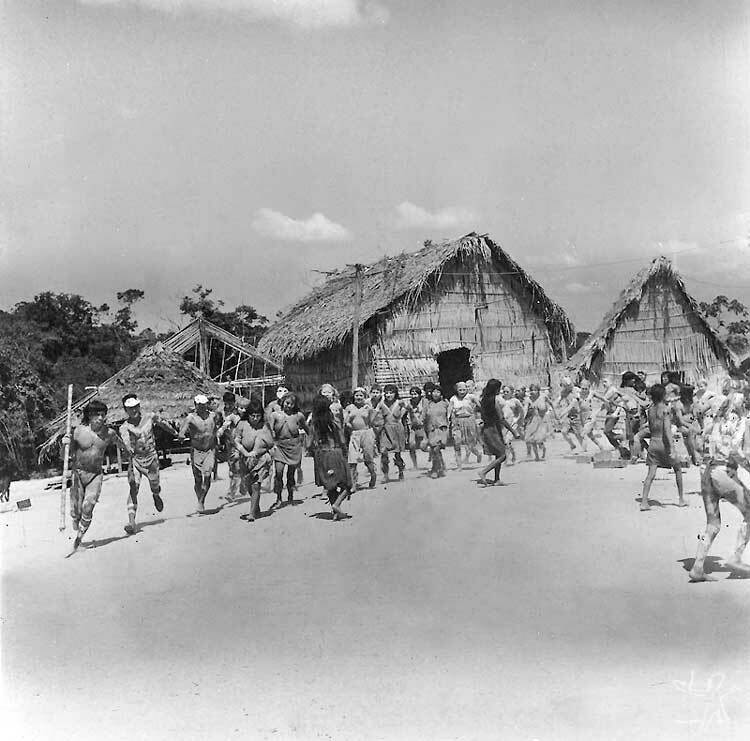 On his next trips (1950 and 1952) Frikel visited the Prouyana, Okomoyana and Arimihoto. In 1953 he made another two brief visits to the Maratchó and Arimitchó. Three years later he encountered the Aramagóto in the open savannah region of the Recôncavo do Tumucumaque and remained there from 1958 to 1959. During this period, the Brazilian Air Force (FAB) cleared an air strip in the region, prepating the way for the installation of the ‘Tiriyó Mission’ on the Brazilian side. At the same time, two Protestant missions were set up in Suriname and began to vie among themselves to centralize as many indigenous groups as possible from the surrounding region. Indeed, many Tiriyó crossed the border, attracted by the Protestant missions, while those who remained in Brazil settled next to the Catholic mission established on the upper Paru de Oeste. This process of centralization peaked around 1968 with just three mission nucleuses and no other villages in the region. On the Brazilian side, the Franciscans also attracted some families of Kaxuyana Indians and a few survivors from the Ewarhuyana and Tsikuyana groups coming from the centre and borders of the Park. In Brazil, though, this concentration was transitory, with the population gradually returning to a more decentralized way of life. Os Tiriyó entre membros da FAB e missionárias. Foto: Angelo Machado, 1963. Assistance to the Tiriyó (air transportation, healthcare and education) was initially provided as part of the ‘triumvirate’ of Mission/FAB/Indians established at the start of the 1960s. Over the years, however, a series of alterations were introduced to the implemented programs, primarily related to the diminishing support given by the FAB, confined almost entirely to air transportation with responsibility passed onto Funai, which only began to work directly among the Tiriyó in the 1980s. Thereafter, the indigenist agency began to supply auxiliary staff in nursing and dentistry. Also in the 1980s, the National Health Foundation (FNS, today Funasa) started to administer the vaccination programs that had previously been implemented by the Airborne Health Units Service (SUSA) and by teams from the Evandro Chagas Institute and the E. Barreto Institute in Belém. From 1994 onwards, the Amapá state government began to provide air transportation and invest in recruiting health workers as well as indigenous and non-indigenous teachers. Initially these investments were made through partnership agreements with Funai and later with the Tumucumaque Indigenous Peoples Association (Apitu), an organization founded in 1996 with the aim of defending the interests of indigenous communities within the Tumucumaque Park. Aldeia da Missão Tiriyó. Foto: Acervo ISA, 1969. 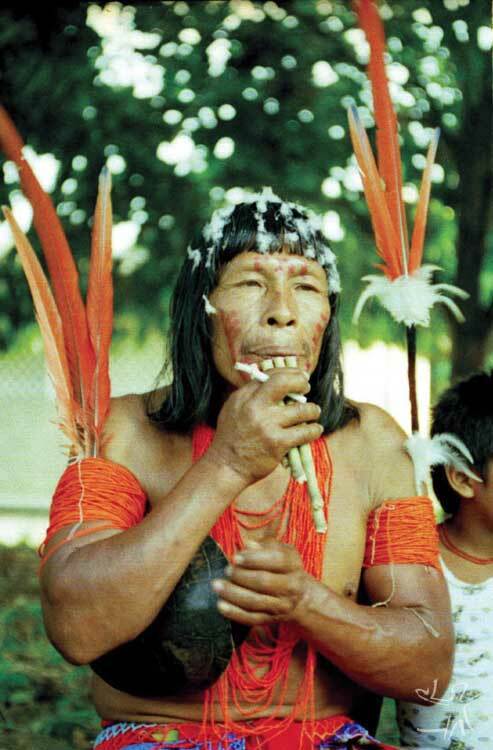 The Tiriyó living in Brazil usually translate the term tamutupë as ‘tuxaua’ (headman) and pataentu as ‘cacique’ (chief). In Suriname, the terms tamutupë and pataentu are both translated as ‘capitain.’ These translations date back to the beginning of the 1960s. Until then, the Tiriyó lived dispersed across a wide region in different pata, each with its respective pataentu, and identified themselves as descendants of different tamutupë. 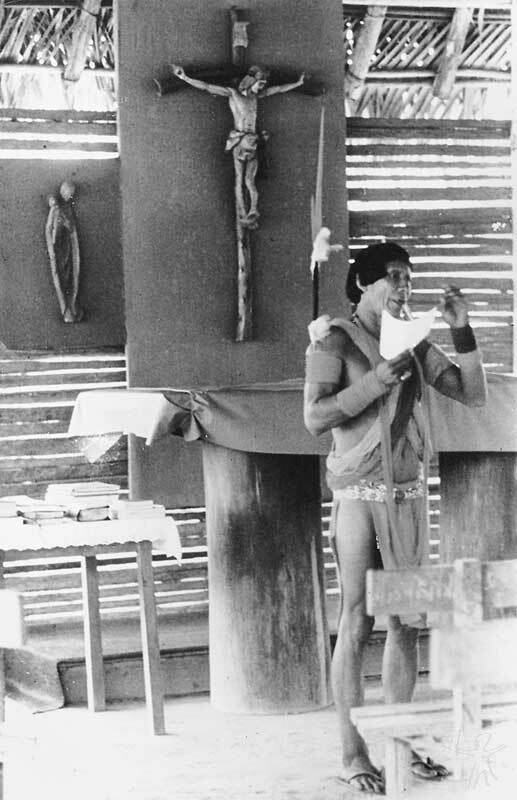 The installation of a Franciscan mission in the central north of the region, an area today corresponding to the Tumucumaque Park, concomitantly with the establishment of two Protestant missions across the border in Suriname, rapidly attracted practically the whole of the region’s indigenous population to these three missionary bases. Consequently, by the turn of the 1960s, the figures of the pataentu and the tamutupë held little in common with the new sociopolitical patterns implanted in the communities. This did not mean they had ceased to exist or make sense, much the opposite. In Brazil especially, this process of centralization was followed by a slow re-dispersal led by former tamutupë dissatisfied with the new settlement pattern instigated by the missionaries, as well as old and new pataentu. Indeed, today, outside of the three large mission settlements, which still exist, the pataentu and tamutupë still represent key political positions within Tiriyó sociopolitics. Nonetheless, since the 1960s both positions have lost ground and prestige in inverse proportion to the influence gained by new positions promoted by the representatives of governmental and non-governmental agencies, responsible for implementing the main lines of indigenist policy in the region. 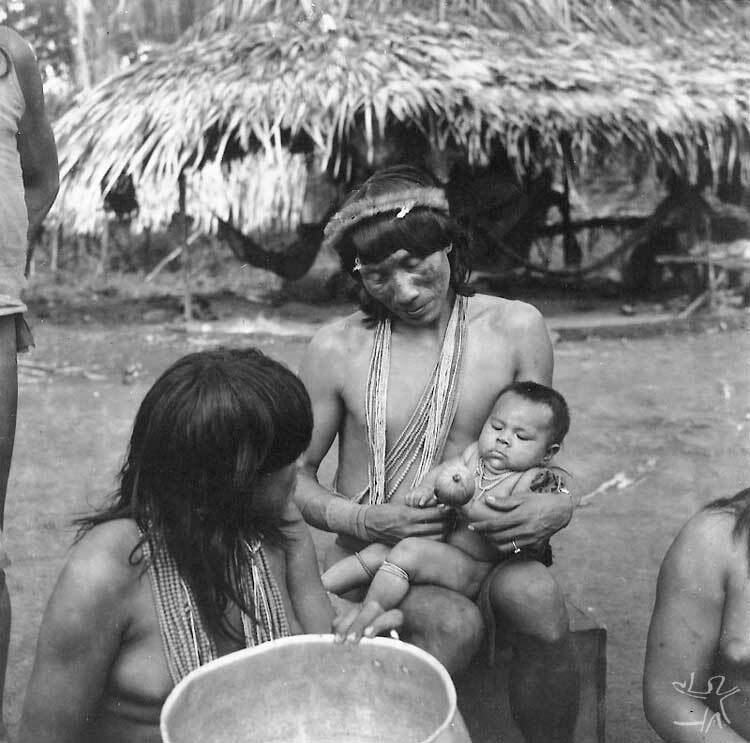 Missionary-based indigenism was the first type of indigenist policy implanted among the Tiriyó in both Brazil and Suriname. This influence led to the development of a ‘new indigenous elite.’ In the process, the tamutupë, along with the shaman (püyai) – very often the same person – were the figures who most lost space and prestige. In Suriname, the Protestants vehemently censured the practice of shamanism. In Brazil, meanwhile, the Franciscans were less inclined to repress shamanic practices, though they still aroused a fair degree of circumspection. On both sides of the Brazil-Suriname border, older men with more prestige were pushed into retirement by the governments of the two countries and began to receive a monthly payment, a practice still in effect among those who remain alive today. The generation of young adults assumed the frontline in the interactions with the missionaries. In Brazil and Suriname alike, keeping or acquiring political leadership became dependent on gaining control of the religious positions created by the respective missions. In the Surinamese case, the ‘capitain’ was consolidated as a political leader by striving to become an ‘indigenous pastor,’ which enabled him to receive payment from the missionaries. In the Brazilian case, the positions of the ‘indigenous deacon’ emerged and through it the ‘new chiefs,’ which meant that occupying a prominent religious position here also became a condition for occupying important political functions. Although in this case the Franciscan missionaries offered no payment as such, the occupants of these positions, along with their closest family members, enjoyed privileged access to the training courses. These in turn enabled paid employment in the Mission’s workshops and cattle pens, as well as the school, health clinic and other Mission facilities such as the canteen and vegetable garden. Practically all the Tiriyó population from the Tumucumaque region became part of the missionaries’ field of action from the 1960s. But, as might be expected, only a select group of people took the frontline in the relations with the missionaries, forming an elite separate from the wider population. This elite reproduced over the years and three generations can now be identified. Today the first generation is aged between 50 and 60 years old, the second from 30 to 50 and the third from 20 to 30. Over the course of these three periods there have been significant chnages in the way in which indigenist policy is conducted in the Tumucumaque region, a fact which is reflected in the discourse and the style of political action displayed by each of these generations. The first generation forms part of the phase centred on a missionary-based indigenism, associated with the philosophy of the triumvirate of Mission/FAB/Indians. 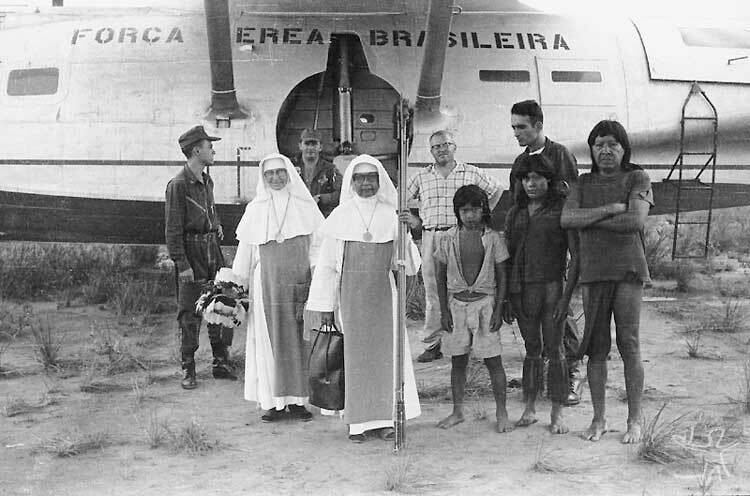 In this context, the work of the Franciscans in the region formed part of the plans of the FAB (Brazilian Air Force) to install a border detachment close to the Tiriyó, where the missionaries would act as intermediaries between the state and the Indians and would be responsible for ‘civilizing’ the population, preparing them for a future in which they would supposedly coexist more closely with the neighbouring non-indigenous population, principally if some of the ‘colonization’ plans for the region were later put into practice. Ditribuição de merenda escolar na Missão. Foto: Ninho Moraes. 1979. During this period the Franciscan missionaries strove to combine religious training with the promotion of a more sedentary lifestyle through the construction of a large village, known as ‘Missão Tiriós.’ At the start of the 1960s, the site was inhabited by around 50 people; by the 1970s it already had a population of about 200; in the 1980s, approximately 400. Today it is currently home to between 450/500 people. At the same time, paths were cleared in a 1 to 20km radius around the village, extending towards the new dwelling places built by those who decided to live away from the Mission but within easy access to the central village and its service infrastructure. It was during this process of alteration in settlement patterns that the first generation of new leaders emerged. The 1960s/70s, when the kingroups who had formerly lived dispersed across the region with their respective pataentu concentrated at the Tiriyó Mission site, saw the first conflicts erupt due to the problems caused by living at a site whose owner – from the native point of view – had failed to undertake the normal procedures that ensure co-residence is possible. It was, therefore, an artificial situation of grouping together a large number of people who considered themselves to be internally differentiated and who believed that maintaining the same pattern of sociopolitical relations found prior to the arrival of the missionaries was impossible. The solution proposed by the Indians themselves to resolve this situation was for the missionaries to choose a new site for the Mission, one previously uninhabited by anyone. As a result, the Mission was transferred in 1976 to a location 2km from the previous site. The families were then gradually transferred to this new village. The new Tiriyó Mission was immediately seen as a more neutral area of residence than the previous Mission since none of the Indians considered themselves to be ‘owner of the site,’ a position that guarantees someone the position of exclusive pataentu. Frei Angélico na Missão Titiyó. Foto: Acervo ISA, 1969. In response to the extremely diverse composition of this population of co-residents, each set of kingroups ended up producing a representative who became known to the missionaries as the headman of his kingroup and who acted as such vis-à-vis the other kingroups. This led to the formation of a kind of political council of headmen, who the missionaries called ‘caciques’ (chiefs). Next, at the suggestion of the missionaries, one of these men was elected as the main chief to be replaced after a while by another. This pattern continues today and generally means that people do not feel more obligated to the main chief than the leader of their kingroup. A similar process occurred in Suriname at each of the two Protestant mission bases installed in the Tiriyó region with the emergence of various leaders, rather than just one. Here too, acquiring the status of political leadership became closely associated with securing the position of a religious preacher. In Suriname, though, the new leaders were invested by the Protestant missionaries with unprecedented powers, such as the task of physically punishing people who failed to comply with the new behavioural norms imposed by Protestant ethics and morality, such as cases of adultery. The radical nature of these sociopolitical changes matches a number of other drastic actions adopted by the Tiriyó under Protestant influence, such as the abandonment of fermented drink, tobacco and festivals. On these aspects, we can note a significant contrast in the profile of the types of leaders who emerged on either side of the Brazil/Suriname frontier during the 1960s and 70s. The second generation basically comprises the sons and nephews of the members of the first generation. In the Brazilian case, this group lived through the transitional phase between the missionary-based indigenism and the indigenism promoted by Funai, which started working in the region from the 1980s onwards. This second generation differs primarily through its educational training, many leaders having been sent as children by the missionaries, via the FAB, to study in schools in cities such as Óbidos, Belém and Manaus. On their return, they helped translate Biblical passages and other material and became Mission school teachers, drivers and translators of the speeches made by older men and the first generation of leaders, who had little fluency in Portuguese, during encounters and meetings with visitors and representatives of government and non-government organizations. The first generation of leaders had been led to distrust the missionaries through ‘rumours’ spread by some of the FAB’s military personnel concerning the true intentions of the German missionaries, including accusations of exploiting the indigenous workforce and criticisms of their incompetence in ‘civilizing’ them. The second generation, though, despite being trained by the missionaries too, encountered new sources of disruption among the Funai staff, this time stronger, since the installation of a Funai post led to open disputes with the Mission. In this sense, the Tiriyó heard for the first time condemnation of the paternalist nature of the Franciscans’ work. At the same time, Funai began to allocate more resources to healthcare and provide more transportation from the Mission to the city of Macapá, location of the regional head office. In the mid 1990s, with support of the Amapá state government towards indigenist actions in the region, Funai succeeded in strengthening its hold and consolidating a new phase of work in the Tumucumaque Park, no longer based on missionary-style indigenism but on a new relationship with the region’s ‘indigenous elites,’ founded essentially on an exchange of favours with leaders from the first and second generations. 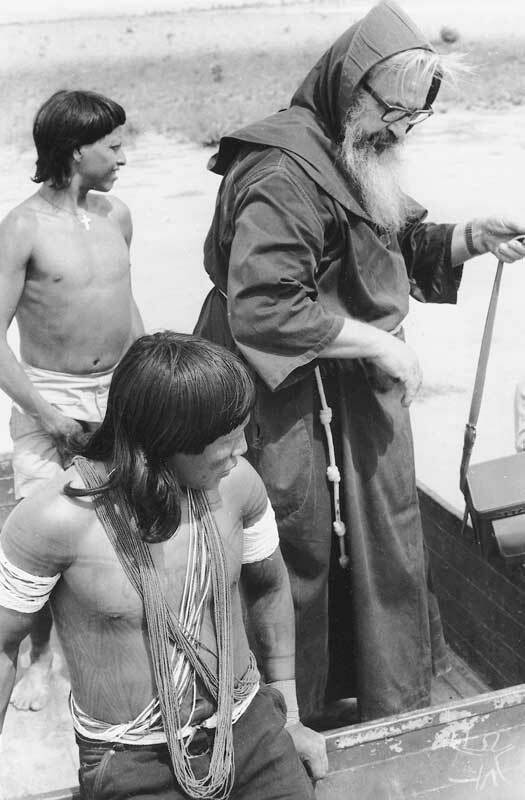 As well as FAB, the Franciscan Mission and Funai, entities with whom the Tiriyó already have around three decades of experience, more recently, in the mid 1990s, the Amapá state government transformed itself not only into another partner but into the symbol of a new era for the Tiriyó. 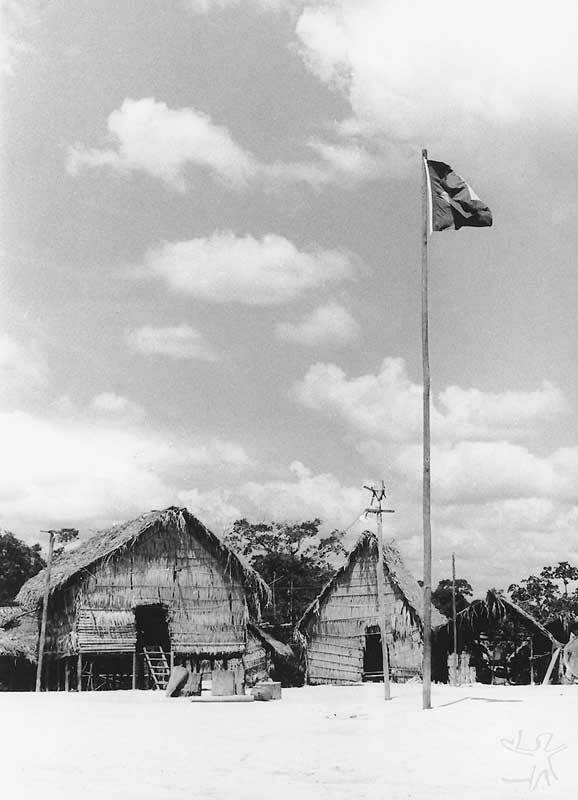 During the initial phase of the state government’s support, mediated by Funai, the Tiriyó did not notice any real changes, apart from the fact that the indigenist agency was now able to provide new possibilities for assistance and new spaces for recruiting healthcare and educational workers. The gap between the generation accompanying this new context and the first generation of leaders that emerged in the missionary phase is enormous in terms of their conceptions, training and understanding of the wider context of relations with non-Indians. The new leaders frequently say that they need to explain the same topic innumerable times, such as the composition and purpose of the Apitu (the Tumucumaque Indigenous Peoples Association), without ever being certain that the older leaders have truly understood. Another contrast is that today the access to prominent positions among the local communities, such as teacher and health worker, ensure access to monthly wages at unheard of rates. This difference magnifies the image of the ‘new elites,’ as well as the privileged role in the relations with indigenist organizations and the privileged access to unparalleled quantities of consumer goods. This fact strikes the older leaders as completely nonsensical, given that they consider themselves the most active voice with more accumulated experience than the younger generation. One of the outcomes of this dissatisfaction among the older leaders has been for them to demand better quality and more diligence from indigenous teachers and health workers in their work with the communities. Until the end of the 1950s, the population that gave rise to the contemporary Tiriyó were scattered between the Panamá and Paru de Leste rivers and extended as far as the headwaters of the Sipariweni, Tapanahoni and Paloemeu to the north. These people identified themselves as members of a variety of distinct groups, which the Tiriyó call itüpü, most of whom spoke dialects of Carib languages. Despite being widely dispersed across this territory, they maintained specific relations of sociability that, while exceeding the internal networks, were limited to specific spatiotemporal boundaries. Some of the accounts by chroniclers and travellers from the end of the 19th century and the start of the 20th report the existence of a network of regular, intense and long-distance exchanges, which alternately inter-related or threw into conflict the different groups that would later form the Tiriyó ethnic group. These exchanges were not only among themselves but also with neighbouring groups in Suriname, French Guiana and Brazil, such as the Salumã (Xarumã) and the Makuxi, to the west of their area, and the Emerillon and Piriu to the east. Sealing a truce between enemies involved the exchange of blood between the tamutupü (chiefs) of the groups involved. In this ritual, both had to drink from a gourd filled with blood taken from each man’s thigh. Warfare involved capturing women and children and trying to exterminate the men from the enemy group, either through armed clashes or through collective poisoning by offering poisoned drink to the enemies. For the period just prior to the arrival of missionaries in the region, information from both historical records and oral sources indicates that some of the groups who later formed the Tiriyó ethnic group referred to the Wayana as their ideal trading partners, after a long period as enemies. According to Frikel (1960), during the 1950s, the period in which he lived among the region's groups, the Tiriyó referred to the Wayana as kuré kurano (very good). The Katxuyana, on the other hand, who lived near to the Trombetas river and who today share the same territory as the Tiriyó, were described as piá kuré (not very good), because they used to kidnap Tiriyó women. In considering the new configuration assumed by these networks following the arrival of the missionaries and the concentration of the descendents of different hostile groups in the same location, we need to take into account the Christian notion that 'we are all brothers,’ present in both the Catholic and Protestant discourses. This idea helped foster the belief that it was possible to extend and establish new alliance networks with neighbouring indigenous groups previously considered enemies. A contrasting case involves the Ewarhuyana, who had also been classified as irupüme, enemies, and who settled with the other groups concentrated at the Tiriyó Mission in Brazil. Even today, the 12 members of this ethnic group have yet to establish any matrimonial exchanges with the Tiriyó, but live close to the latter and are generically considered to be kin (imoitühton) by the fact of being Indians too. Here there are no relationships based on marriage exchanges, but the potential exists for them to take place in the future. This domain of the ‘internal group’ and those who could become part of it through spatial proximity and the possibility of intermarriage (and hence the exchange of body substances) provides the basic requisites for the establishment of kinship relations. This domain contrasts with that of the radically other, the whites, with whom matrimonial exchanges are deemed impossible even today. Hence from a wider perspective, for the Tiriyó, being kin depends on more than being human. 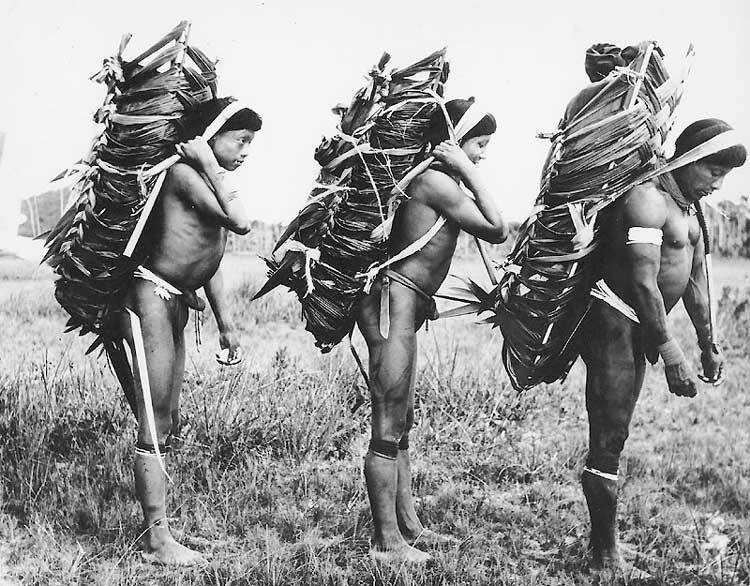 In fact, the Tiriyó accounts of the first contacts with the missionaries reveal their desire to emphasize that the latter were only accepted insofar as they arrived with objects that aroused their interest and curiosity, basic requirements for being welcomed: “something to exchange.” In these oral accounts, illustrative of how the Tiriyó in general conceptualize the relationship between Indians and non-Indians, we can glimpse some of the reasons why the missionaries were not classified as invading enemies: from the outset, they raised the possibility of a network of material exchanges radically different to the kind that the Tiriyó had thus far experienced with other indigenous groups from the region, considered pawanaton (exchange partners). The relation with whites was conditioned on the exchange of material items, therefore, just as the relation between kin and affines is conditioned on the exchange of body substances. The settlements denominated ‘pata’ can be identified as the basic sociospatial units of the Tiriyó. Pata is equivalent to what we usually call a village. In Tiriyó, pata means dwelling place and each of these places is associated with its ‘pataentu,’ the ‘owner of the place’ – in other words, the person who found and chose the site and settled there with a group of bilateral kin. Each pata is composed by one or more residential units, denominated pakoro. Each pakoro, in turn, is normally home to a couple with their unmarried children and/or recently married daughter and son-in-law – the basic composition of an imoitü, a term designating a family group of co-resident kin. As a category, imoitü implies the existence of real or virtual kinship and co-residence. However, the term is relative and requires a spatial referent for its scope of reference to be contextually comprehensible. In this sense, the compositional boundaries of an imoitü vary in accordance with the scope under consideration, along a gradient spanning from a nuclear family coinhabiting the same pakoro, a set of bilateral kin living in the same pata, or even a set of bilateral kin residing in two or more pata located fairly close by. It can even be extended to a generic limit where co-residence in the same territory implies belonging to the wider set of imoitühton (the plural of imoitü in a collective sense). The number of pakoro existing in a pata varies according to the number of kin that the pataentu succeeds in uniting and the amount of time for which the settlement has existed. The pakoro are arranged around a space called the anna, which is a kind of public plaza, equipped with a toëfa (dance platform) where the festivals are held. A meeting house is also usually located in the anna, frequently oval or rectangular in shape, called a paiman. The wider territory containing the set of pata in which the entire population resides is designated ‘Tarëno nono,’ the ‘land of the Tarëno.’ Although the territorial distribution of pata is clearly not random, but based rather on the clustering of sets of pata around the river main basins, there is no specific term in Tiriyó to name these clusters. In 1940/42, Schmidt reports (1942), the Tiriyó were living in the basins of the Sipariweni, Paru de Oeste/Marapi and Paru de Leste/Citaré rivers. By the end of the 1960s, Rivière records (1970), they were living in the basins of the Sipariweni, Tapanahoni/Paroemeu and Paru de Oeste, divided by these rivers and stretches of savannah. Today they occupy all of these river basins, comprising four population groupings in total. Hence, while pakoro (house), pata (village) and tarëno nono (territory) serve to designate both physical and social realities, making them key sociospatial units, there is no native conception allowing the sets of pata that form around the basins of the ‘tarëno nono’ to be distinguished as sociological units. These sets indeed constitute physical and social realities. However they do not configure ‘units’ but ‘dynamics’ that result from the relations between the basic Tiriyó sociospatial units – that is, between the pata. Physically, they appear in the form of ‘clusters’ of ‘villages’ surrounding the courses of various rivers. However, from the social point of view, the term ‘cluster’ used in the Guianese ethnological literature (see Rivière 1984) to describe the typical social structure of the region appears somewhat limited when compared to the analytic potential of the notion of 'networks of sociability.' The latter helps explain the way in which social relations are structured at the intermediary level between the local level of the pata and the wider level of the tarëno nono, and, further still, the way in which the type of relationship established at this intermediary level influences the configuration and internal relations of each pata. Given the lack of native terms, the notion of cluster does allow us to describe a reality that indeed appears in highly fluid and provisional form. However, if we take this absence of native terms as an indication that there are no intermediary social ‘units’ between the basic social unit (pata) and the wider social unit (tarëno nono), then the question becomes not simply one of ‘fluidity’ but of the social ‘dynamics’ that operate through specific forms of social relations, meaning that the notion of ‘networks of sociability’ is more useful in terms of comprehending the region’s sociological landscape. Adopting this perspective, we can identify the networks of relations between pataentu as the backbone of Tiriyó social structure and the pata as the fundamental sociological unit of this structure. The highest density of social relations is found at the co-residence level between the pataentu and his bilateral kingroup, equivalent to his ‘yimoitü’ (‘my family’ or ‘my co-resident kin’). Within each pata, the kingroup of a pataentu tends to maintain close and preferential matrimonial exchange relations among itself. Each local kingroup corresponds to one or more pakoro, depending on its size and subdivisions. Next there is the interlocal level formed by the relations between the pataentu from different locations. At this level, each pata functions as an exchanging unit and through its subcomponents, the pakoro, establishes exchanges with members of other pakoro from different settlements simultaneously. This leads to the formation of multiple orientations in the exchange relations. Two parameters influence the form taken by these orientations, one spatial in kind, the other temporal. The first centres on the proximity/distance axis. The second involves the identity/difference opposition, related to the notion of itupü, a term that designates ‘continuation’ and that is used in various senses, including genealogically. In this sense, itupü corresponds to a social category of belonging and foregrounds notions linked to the identity/difference between people from similar or distinct genealogical lines. For example, the quality and direction of the relations established between two individuals will be influenced by whether or not they belong to the same itupü, combined with their respective positions on the spatial proximity/distance residence axis. From the viewpoint of a sociology of Tiriyó life, the ethnic group – taken as a ‘supra’ social category of analysis – is of little relevance when compared with the significance of the itupü category. Belonging to the Tiriyó ethnic group (tribe or society) is closely related to the particular circumstances of regional intervention by agents of surrounding national society – including the different countries and indigenist policies involved. This is a generic designation, historically attributed to them, which became useful in informal contexts of interaction with people from outside – including Indians and non-Indians – where, to simplify matters, they referred to themselves as ‘Tiriyó.’ As they themselves add, ‘Tiriyó’ is merely the name with which the whites ‘baptized’ them. In contrast to the ‘ethnic’ category, the native category itupü highlights the importance of genealogical descent for the Tiriyó, where the difference between animal and/or plant species symbolizes the difference between people from the multiple itüpü inhabiting the world. In the Tiriyó language, the suffixes yana, yó so and koto are the most frequently used to designate ‘people.’ Thus among today’s Tiriyó we find the Aramayana (bee people), Aramiso (dove people), Maraso (eagle people), Okomoyana (wasp people), Akuriyó (agouti people), Piyanokoto (hawk people), Pürouyana (arrow people) and others to whom some Tiriyó say they belong, such as the Püröpü and the Saküta. In the historical-ethnological literature in the central eastern region of Guiana (cf. principally Frikel 1958 and Rivière 1963, 1969), these other peoples are cited as the ‘subgroups’ that gave rise to the region's current ethnic groups, including the Tiriyó themselves, the Katxuyana, the Waiwai, the Aparai and the Wayana. Together, then, the pata, as the basic sociospatial unit, and the itupü, as the sociotemporal unit, provide the key to understanding the bases that structure the lived world of the Tiriyó in space and time. Within the boundaries of the pata, from the spatial viewpoint, and the itupü, from the genealogical viewpoint, social relations are mediated by the idiom of kinship rules. At the level beyond local relations within the pata, however, the spatial variables of matano/mano (near/far) and belonging or not to the same line of temporal continuity (in the sense of genealogical descent) – that is, to the same itupü – come into play. At this inter-local level, social relations are mediated by the rules of native politics, whose nature varies along a gradient of possibilities that span from greater flexibility in the case of spatial proximity and where prople belonging to descent groups that maintain peaceful relations, to greater rigidity as spatial distance increases and the degree of affinity between the different itupü involved in the relation diminishes. Tiriyó kinship terminology is of the two-line prescriptive type, meaning that any bilateral kingroup contains both kin and affines, and that the native ideal of the pata is as an endogamic unit. On the other hand, it is common for the distinction between kin and affines to be set aside and for all the co-residents to be represented as consanguines. At local level, where a pataentu and his imoitü live, kinship is a given and all the co-resident affines ideally become consanguines through a mechanism of ‘masking affinity’ typical of the indigenous peoples of the Guiana region. But at inter-local level, especially when spatial distance and belonging to different itupü are involved, constructing kinship through matrimonial exchanges depends on the mediation of a type of ceremonial dialogue denominated kato pompö (‘hard talk’), through which the parties involved negotiate their conditions for alliance and exchange. Yet the boundaries of potential sociability are not reached where the possibilities of matrimonial exchange and the establishment of kinship relations end. The sphere of non-kinship – which the Tiriyó locate within the ‘tarëno nono’ – corresponds to the different categories of non-Indians with whom they have historically related. In this sphere, the idiom of matrimonial exchanges, and thus the exchange of body substances, is replaced by the idiom of trade exchanges, limited to the exchange of 'material substances.’ The establishment of this specific form of sociability becomes conditioned by the compliance with its own rules of reciprocity, distinct from the rules based on kinship relations. Along this axis of relations, spanning from the local level to the level of external relations, multiple networks of concrete sociability are configured along with infinite possibilities for new connections. Understanding the logic behind these networks and their mapping therefore allows us more insight into the lived world of the Tiriyó, as seen from a broader point of view. Among the rituals that dynamize the functioning of the intercommunity networks, we can highlight the Tiriyó festivals and ceremonial dialogue. Both have the potential to make and unmake the bonds that interconnect the set of local communities that, in the Tiriyó case, correspond to the set of patahton (plural of pata) and also share – albeit by different mechanisms – the same power to transform ‘outsiders’ into ‘insiders,’ and vice-versa. Each of these ritual types, though, corresponds to distinct contexts. Ceremonial dialogue foregrounds relations between members of different itupü, focused primarily on the figure of the tamutupë (chief of an itupü); festivals, meanwhile, foreground relations between members of different pata, focusing in particular on the figure of the pataentu (owner of the site). Both ceremonial dialogue and the festivals are limited to the native sociolinguistic boundaries. But this does not mean that these rituals, in adapted form, cannot operate beyond these limits in the relations with non-Indians. From the viewpoint of the relations within the native sociocultural boundaries, the ceremonial dialogue and festivals permit kutuma type relations (between non-kin) to be regulated and enable new connections to be made or indeed avoided. Each of these rituals contains, in its own way, a positive and negative signal. Through ceremonial dialogue, which implies a clash of arguments between chiefs from different itupü, both parties can emerge equally at an advantage or one of them at a disadvantage. Through the festivals, in turn, new possibilities for matrimonial or material exchanges can emerge, but, on the other hand, contact with 'outsiders’ also provides grounds for new conflicts and quarrels. However, this is a political game with which the Tiriyó are highly familiar, so much so that their world is unthinkable without these institutions or without adapted forms of them. It is through these institutions that people negotiate marriages and goods, as well as welcome visitors. In encounters beyond the native sociocultural boundaries – such as the historical trade relations with the Mekoro (blacks), or the more recent intense co-existence with the Karaiwa (whites from the South American continent) and the Pananakiri (foreigners from overseas) – we can observe the attempt to regulate interactions along the lines of the relations based on ceremonial dialogue, despite the evident linguistic difficulties implied. However one moment of Tiriyó life is especially interesting to focus on here, since it appears to condense all the dimensions, values and beings forming part of their world. This moment is the festival. The Tiriyó define the festival as a form of ‘play’ that, as they often remark, “it has to be organized.” The idea of playfulness appears in the festivals through the re-creations and imitations of diverse situations and beings making up their universe. The ludic atmosphere in which the moments unfold and the carefree spirit of the participants seem to indicate the pertinence of this definition. Their festivals enable the presentation of the near and the distant, the ‘equal’ and the ‘different,’ partners and enemies, humans and non-humans. As they unfold, they follow the mythic sequence through which an initial state of warfare gives way to a process of enyawa (a term designating the constitution of a partnership), so that alliance – which may involve marriage, though not necessarily – between the different sides involved becomes possible. ‘Gossip,’ when circulated within a pata (local group), could lead to a killing and the subsequent splitting of the group with the abandonment of the site by one of the affected parties, setting off a chain of vendetta-like revenges. When circulated between residents of neighbouring local groups, 'gossip' would provoke one local group (pata) to attack another and unleash a revenge process that tended to culminate in the complete decimation of one of the settlements’ inhabitants. These conflicts typically involved groups related by marriage and co-residence. The revenge processes are similar to the “festivals lasting from today to tomorrow,” or “short festivals,” which involve just the residents of a single pata, or a few pata, or two or three nearby patahton (plural of pata). For the contemporary “Sunday sakura” to be held, it suffices for someone to make an inappropriate comment or request during the week to provide the motive for a sakura on the following weekend. But there is also another type of conflict that perhaps corresponds to what the Amazonian historical-ethnological literature refers to as ‘inter-tribal war.’ Among the Tiriyó, ‘inter-tribal war’ corresponds to the conflicts opposing not the residents of different pata but members of different itupü. Furthermore, in the Christmas festivals, what seems to be foregrounded is precisely this dimension of Tiriyó life, namely the relations between families from different itupü. This is a period of the year in which the ‘play’ of the pillage precedes the ‘play’ of warfare. During this period, all the women feel authorized to ‘pillage’ the hunters on the path returning from the hunt. Just like, in a Tiriyó myth, the theft of game from a Prouyana man by a Aramayana man provoked a confrontation between both groups. Through these hunt-based rituals, the festival acquires the metaphorical form of ritual cannibalism. People run around imitating animals, as though they were game and hunter. One constant in the Tiriyó festivals is the manufacture of sakura by the female hosts, a type of drink made from fermented manioc. The women also make wïï (manioc bread). The Tiriyó always say: “Without sakura there is no festival.” The task of hunting is assigned to the men named by the ‘festival owner.’ The game, like the drink, will be ritually consumed, while the definition of the type of festival, songs and vestment to be used depends on the season of the year in which it is held and the game predominant in that season. The Christmas period is the season of kuriya (tortoises) and ariwe (caymans), meaning that the repertoire and components of these festivals are pervaded by the symbolism of these animals. Other game also form part of the rituals, but the hunted tortoises and caymans occupy the centre stage. Prior to the arrival of the missionaries in the region at the end of the 1950s, the contemporary weekend festivals (called “Sunday sakura”) were held in the intervals between the major festivals, with the latter, such as the current Christmas Festival, occurring in any period of the annual cycle, but primarily in the periods when food was abundant. The short festivals were called “mother festivals.” The larger and longer cyclical festivals, meanwhile, were considered ‘daughter festivals’ and involved more extensive preparations. For the Tiriyó, the origin of the world corresponds to the origin of space and time, beyond which resides the unnameable, associated with darkness, silence and stillness. Kuyuri was the first being to exist, formless and merely existing. Kuyuri is said to look like neither a man or an animal: he was formless because nobody had made him, he simply 'sprouted,' ahtao, from the mixture that gave rise to the beginning of time: pena ahtao, an era defined as where and when live sprouted ‘without asking’ by itself. Hence the name of this first entity called Kuyuri designates the being endowed with light, appearing where there had only been darkness; from magic speech, where there had only previously been silence; and from a fertile fluid, where before everything was inert. The primeval world of Kuyuri is described as a clear terrestrial landscape, circled by an aquatic environment and surrounded by darkness. In this world, Kuyuri lived alone, able to speak but with no one with whom he could talk; he could see but saw no one. His world was space alone, without time, because nothing happened. He could create through his magic words and his light, seeing before him whatever he named. No longer wanting to be alone, Kuyuri, product of the primordial mixture, now needed to make his own mixture. It was no longer enough to create life through his words, he needed to shape life and differentiate its form in order to escape his solitude. Kuyuri, who was a man, wanted to make a woman. It was then that the second primordial mixture came about, based on two types of materials conceived as inert when separate from each other: clay, takuren, and tar, warunu. The takuren clay is the material that Kuyuri extracted from inside his clear world, empty of life apart from himself, to mix with tar, the darkness that he took from the outside. Mixed with takuren, this darkness gains its own qualities, transforming into the thick and dense bloody vital fluid called munu. Turning into blood, his odourless spiritual fluid, ipoinna, acquired its own smell, able to become agreeable and desirable, tüpoinye, or disagreeable and undesirable, tüpoküne. Kuyuri’s spiritual fluid is said to have been colourless, koronna, and became red, tamire, which is defined as the colour of vitality. Kuyuri’s fertile content was said to be formless, but mixed with clay and darkness, it took the form of a 'thread,' forming the ‘cord of life,’ warumunu, whose prototypes are, for Tiriyó men, the waruma (arumã grass) and the kurawa fibre (made from the curauá bromelia). This provided the origin of all the symbolism linked to the male and female principles, beginning with the form that Kuyuri shaped from the mixture of clay and tar, evoking a close association between clay pots in general, denominated ëri, and the female, wëri (humans and other species) with a bodily form with ‘blood inside.’ People say that Kuyuri made his first wife from clay, ërino, but she was very fragile. When she split, he saw that she had blood inside. Hence Kuyuri’s attempt had not been in vain: the form was fragile, but the content was alive. From then on, time was instigated where before there had been only space, and with it the movement of life. The paths of the kupü spiritual fluid spread outwards and the places of the munu blood proliferated through the space and time in which the pü vital spirit began to flow, incessantly producing its own continuity. In the comparison made by the Tiriyó, each new creature of Kuyuri is like his arm, since each one depends on the continuity of his spirit. Following the same principle, it can be comprehended that if the continuity of Kuyuri’s spirit depends on his creatures, the continuity of their spirit depends, in turn, on a process of endless re-creation similar to that inaugurated by Kuyuri. Not wishing to be alone anymore, he mixed takuren clay with the warunu darkness, giving origin to blood, so that his spirit could be transported from creature to creature, and thus, continued, humans and animals are conceived as Oto, 'animated bodies.’ However, they are differentiated through their use of language, which allows some and not authors to refer to themselves as an oto that is wütoto – a person, in other words. They differ, therefore, in terms of their condition in the world, with the human condition reserved to those beings capable of referring to themselves as subjects continuing the spirit of Kuyuri and living collectively “like people,” wütoto me. Achefë Tiriyó told me that his father's father, Maritü, told his father's brother, Yonare, who in turn told him that a man long ago married the daughter of a jaguar, more out of fear than his own desire, because, although the father-in-law lived as a human, his appearance was that of a terrifying jaguar. And thus, left with no other choice, for a while he too wore the jaguar’s clothing that he received in different types, sizes and colours. All the clothes had claws to be used on different occasions, some for hunting tapir, others for deer, others for agoutis, and so on. And so like the father-in-law, the human transformed into a being with a jaguar appearance, which lived and referred to himself as wütoto me. In his role as son-in-law, the human undertook all the tasks asked of him and gained his father-in-law’s trust, though he did not conceal his desire to return to his village. His father-in-law had no objection, on the condition that he took his daughter with him. But the man did not want her. So he began to try to escape, intending to return alone to his village, which he himself had founded and where he already had a wife, sons, married daughters and his own sons-in-law. However, he was unable to escape without killing his jaguar wife, who was advised by her father to never leave her husband’s side. Arriving in his village, the fugitive spent a long time hidden inside the house, since he knew he was being looked for. When he finally came out, after a long time in hiding, he went straight to the river to bathe, accompanied by his sons and grandsons. But this was precisely the spot where his father-in-law was waiting for him since he had fled, in order to hunt down and devour him, and thereby transform him into an ‘anti-present,’ ekeriyatuhpë, a notion that corresponds to the act of transforming oneself into food, someone who does not know how to be a helper, pëeto seu. Revenge taken, ever since then, humans and jaguars attack both themselves and each other. The world ceased to be, so to speak, a world frozen in space and time from the moment when Kuyuri conceived the female bodily form as a wrapping, ëri, with blood, munu, made to receive the spirit contained in the male fertile fluid, kuru, and produce, emukupünu, or simply muku, which is the abbreviated form for child. Ever since, each child that is born, male or female, must be taught by his or her parents how to become capable of continuing Kuyuri’s spirit. The primeval order in which the world was divided into a set of species made to be food and others to be fed becomes explicable through a linguistic matrix by which Kuyuri communicates with his world. The Tiriyó world is densely populated with stories of beings who were chosen as pëeto (helpers, continuers) and who, proving themselves incapable of repaying Kuyuri through the continuation of his spirit, were transformed into pëera, and of beings who revealed themselves to be pëera, committing breaches of conduct and found to be incapable in some situations, but who learned to become pëeto, and thus transformed themselves into chosen and successful continuers of his spirit. Those chosen by Kuyuri, his pëeto, are those who prove themselves to be tüpuye: that is, capable of continuing his spirit, and it is to them that he gives presents in the form of food, through which they acquire names and existence in the world. Conversely, it is up to these beings to give a name and existence to Kuyuri by presenting him with more spirit, and so on, ad infinitum. Everything that Kuyuri makes available for the enjoyment of his creatures is called ekaramahpë, which designates a form of giving that is simultaneously a giving back, since whoever gains a present gains the return of his or her own existence vis-à-vis whoever gave it. This is the language of Kuyuri, the way in which he communicates with his creatures: he favours or disfavours their conditions of life and ultimately gives or takes their name and existence, showing them and those related to them either his satisfaction, imënna, or his dissatisfaction, imë, over particular behaviours that can influence the continuity of his spirit. All that Kuyuri wants from his creatures is that they make themselves karime, a notion that involves the acquisition of courage, as well as physical strength and resistance, in search of the solidity of bodily form, in order for the spirit, ekapü, which gives existence and names to bodies, to become protected inside of them. Moreover, while it is through the presents, ekaramahpë, that Kuyuri demonstrates his positive evaluation of the behaviour of the ‘descendents,’ ipëri, it is through his ‘anti-presents,’ ekëriyatühpë, whose prototypes are the monstrous ëkëimë snakes, that he demonstrates his negative evaluation. Kuyuri gives active existence to these beings who personify his dissatisfaction, under forms designated by the augmentative suffix -imë, when his ipëri show themselves to be pëera me, incapable, and calms them down when his ipëri show themselves to be pëeto me, capable of conducting themselves adequately. In the small literature available on Tiriyó cosmology, Yaraware is described as a human immersed in the unfolding of life, such as it begins to be lived at the start of time. And, indeed, based on the information that I obtained from the Tiriyó, Yaraware is described as a kind of worldly Kuyuri, who personified, in the earth, the potentialities of the male spirit of Kuyuri, alongside his wife Urutura, whose existence revealed the female spirit, as it existed when woman had still to acquire a bodily form. Both spirits, male and female, are conceived to be endowed with inverse but complementary potentials: the female spirit’s speech is associated with darkness, while the male spirit's speech is linked to light. From this basic difference, the Tiriyó explain most of the developments that affected their world ever since Kuyuri, wishing to cease being alone, mixed the takuren clay with warunu tar in order to escape his solitude and thus his infertility. As mentioned above, this mixture and the form shaped from it leads to the close association between clay pots in general, ëri, and women, wëri. The relation between ëri and wëri, ‘vessel’ and ‘woman,’ is similar to that between oto and wütoto, ‘animal’ and ‘man (human),’ and seems to be associated with the difference between those beings endowed with animate life, as both clay, ëri, and animals, oto, are conceived, “with blood inside,” and the beings that as well as having "blood inside" can also refer to themselves through language or be referred to by another being as a subject with an animate life. Tiriyó memory abounds in narratives that describe encounters during this primeval era, pena ahtao. These encounters were no longer merely between matter and non-matter, as when life first sprouted without the need for primordial mixtures, but between different types of peoples, who, endowed with speech, vision and movement, conceived themselves indistinctly ‘as humans,’ living in an entirely relational and communicative, causational and transformational world. The moon is never found in the sky with the sun, wei, because one day they competed with each other, travelling in celestial canoes to see who would manage to illuminate the world the most. Having lost the competition to the sun, the moon has avoided encountering the latter ever since and only appears when the sun has already vanished. The sun is conceived as a being of Kuyuri that preserves the continuity of his spirit and that, as such, is associated with the qualities of the male spirit. The moon, by contrast is associated with darkness and the qualities of the female spirit, which originates from the tar that Kuyuri needed to create new beings and thus continue his spirit. The level where the moon is found is described as the dwelling-place of the souls that, on earth, incorporate the defects of the female spirit. The celestial level were the sun is located, in turn, is described as the most distant from the moon, a place where it is always day and where the powers of Kuyuri male spirit are fully realized without the need to relate with opposite powers. There, then, the world is pure fertility, magic speech and light. Nothing needs to ne done, everything is ready to be enjoyed by those who know how to cultivate Kuyuri’s spirit within themselves and continue it within their descendents. However, what the Tiriyó narratives reveal is that, at the beginning of time, humanity moved far away from this paradise and that as the human spirit became contaminated with the opposite potency of the female spirit, more obstacles appeared in its path, people with anacondas and other monstrous beings that assumed the role of controlling the entry of malevolent spirits into this celestial realm. The story of how Yaraware with Urutura lived together as a couple provides a good illustration of the origins of this growing distance between earth and sky. Describing the quarrels between them both, caused by the insatiable greed of Urutura and her mother, Yaraware’s mother-in-law, Apé Tiriyó told me that they systematically ate all the food he brought back to the house before he could even serve himself. Unhappy with the immoderate behaviour of the female spirit of his wife and mother-in-law, Yaraware wanted to control the malevolent actions of this spirit and develop the qualities of the male spirit in all his creatures, whether male or female. To achieve this, he employed the same language used by Kuyuri to conceive his presents and anti-presents. Transformed into a lizard, ërukë, Yaraware came to pose an eternal threat to the manifestations of the female spirit, which must take precautions to avoid being attacked. Turning into the tamütupë of the lizards, he made them appreciators of the smell of human blood and inedible to humans at the same time. Using his capacity to metamorphosize himself, lizard-Yaraware provided a home for his lizard-ipëri in the subterranean world, nonowae, from where they come out from time to time after the ‘presents’ that their tamu leaves for them. To this end, they have the capacity to metamorphosize themselves and attack their victims wherever they may find them. This is how Yaraware, as tamu of the lizards, finds a way to be an ‘anti-tamu’ to the humans – in other words, how to “not continue the blood” of those creatures that he considers pëera and whose proliferation therefore threaten his humanity. Thus, in the forest he takes the form of a tapir (tëhpaime), close to human dwellings he transforms into a person (ehkui) with the appearance of a seductive man or woman, depending on whether the victim is female or male; and in the rivers, he takes the form of a fish (amahta). However, before this transformation and his departure for the sky, using the inner part of the waruma, denominated wakuru, Yaraware gave form to manioc, wüi, a tuber conceived to be the food par excellence of whoever is wütoto and, therefore, anyone who is human. In this sense, while the visits of the lizards to the humans comprise his ‘anti-present,’ ekëriyatühpë, to the improper manifestations of the female spirit, manioc and knowledge of its cultivation are the ‘present,’ ekaramahpë, he gave to his terrestrial creatures so they could live as his pëeto, that is, “as his capable and beautiful arms,” and could continue his spirit on earth. After he went to the sky, Yaraware began to choose among the tamu of each of the ramifications of his spirit continued on earth those who would be called püi'yai, the shamans, conceived as the ‘auxiliary spirits’ of the one who taught “the magic of the swiddens.” This magic involves knowledge of the ëremi magic songs, which are conceived as a vital thread that comes out of the voice, omi, of the person chanting them and connects widely with their destinations, according to the content and the vigour with which they are chanted. It also involves the watü dances through which dancers must, literally, “make rope” with their “hands tied with rope,” ëinyawa, around the swiddens in order for the ‘vital thread’ contained in the chanted songs to enter the fields. This apprenticeship also involves the püi'yai’s use of the kuri stones, considered givers of fertility, which are buried in the middle of the swidden, normally in a small mound, where its main paths cross. These stones are placed in pairs, one male, the other female, a certain distance apart. It is during this burial that the dances and ceremonial songs should be performed. This effort to “make the spirit continue,” which characterizes the male spirit, forms part of the control of opposite manifestations, conceived to be intrinsic properties of the female spirit, revealed in men and women through the improper conduct they are capable of committing and, in the specific case of women, through the female bodily form, which cyclically allows menstrual blood to 'leak.' In this sense, the threat of the anti-presents personified in the lizards and in their metamorphoses is perceived as a way found by Yaraware to lead the human spirit to exercise this control. Hence the human powers introduced by Yaraware must be activated through the procedures that render manioc fit for consumption since consuming it pure, ipoinna, would be like consuming oneself, a process of autophagy and self-poisoning. As a daily food in the form of a boiled liquid, tukupi, a lightly fermented drink, sakura, and in the form of bread, uru, the derivatives of manioc are conceived to contain the “spirit that gives life and wisdom,” kapühpë, to whoever consumes them. This spirit resides in the sky, kaputao, and descends to earth in the form of rain sent during the season when Yaraware, the “owner of the manioc,” wüi entu, appears in the sky in the form of a star (Orion), at the start of December, in order to announce the start of the rains, which will swell the roots of the manioc grown in the Tiriyó swiddens. Just as the foods derived from manioc are held to be able to introduce speech and hence knowledge into the bodies of those who ingest and digest them, transforming them into vital fluids, they are also said to be capable of extracting speech when made not to feed to the body with spirit but to ‘unfeed’ it through vomiting. This is the case of the ritual drinks made for special guests from whom one wishes to extract information, such as kasiri, a strongly fermented drink conceived to be capable of loosening the speech of whoever ingests it. Made to be vomited, the kasiri drink is especially made to receive visitors, who are offered it in order for them to literally “loosening the speech trapped within their bodies,” whether simply to relax them and make them happy, or for any doubts or curiosities that their hosts may have concerning them to be cleared up. The basis of Tiriyó subsistence is rooted in the cultivation of manioc swiddens, hunting, fishing and gathering. Until the 1960s, these activities were integrated with a system of mobile agriculture and the change of dwelling site every five to ten years. Since the 1960s, these activities have become more sedentarized due to the fixation and centralization of the residence sites close to the missionary posts – in the Brazilian case, close to the Franciscan mission on the Paru de Oeste river. In this new context of larger villages it became impossible to maintain the former equilibrium between the size of the local population and the surrounding natural resources, forcing the families to explore more distant areas without moving site. To stimulate and enable this new settlement pattern, the missionaries made various attempts to encourage increases in the planting of traditional crops such as banana, sugar cane, pineapple, papaya and watermelon, achieving some degree of success. However the incentive given to the planting of rice, beans, vegetables and other fruits was less successful. The missionaries also tried to encourage livestock breeding, including pigs, goats, chickens and ducks, but came up against Tiriyó’s attitudes towards these animals, which involved treating them as pets rather than future food. Buffalo breeding, which also began in the 1960s, was also less than totally successful. However insofar as it enabled the dispersion of some families to more distant locations, this activity raised some interest and continues to be practiced, as a complement to the subsistence economy, in five of the more than twenty villages located on the Paru de Oeste/Marapi rivers. Industrial goods are acquired through trade with black populations, a relation that dates back to the 19th century and which is practically an institution in the region. But it was only during the missionary phase that a system of providing services in exchange for payment in cash, and/or directly in material goods, was introduced. This new system significantly altered the organization of the time and labour of the families directly involved in providing the services. During the 1960s and 70s, these jobs did not cause any serious social problems because they yielded little income, since kinship obligations meant that these resources were more widely distributed. In addition, the lack of access to markets meant that people were unable to consume any desired goods that were unavailable in the missionaries’ store. From the 1990s onwards, though, with the increased government incentives to hire indigenous health agents and teachers with more lucrative wages, combined with greater opportunities to access the regional urban centres, such as Paramaribo (in Suriname), Macapá and Belém (in Brazil), relatively large sums of money began to be monopolized by a few and materialized in the possession of a wider variety of consumer goods, ranging from soft toys to bicycles, televisions, VCRs and satellite dishes. GRUPIONI. Luís Donisete Benzi; FAJARDO GRUPIONI, Maria Denise (Coord.). Relatório do I Curso de Formação de Professores Tiriyo e Kaxuyana. São Paulo : Mari-USP/NHII-USP, 1998. 98 p.
LETSCHERT, Bento. Dicionário Português-Tiriyó. Brasília : MEC; São Paulo : Mari/NHII, 1998. 149 p.
KOELEWIJN, Cees; RIVIÈRE, Peter. Oral literature of the Trio indians of Surinam. Dordrecht : Foris Publications Holland, 1987. 312 p.
MACHADO, Ângelo. O velho da montanha : uma aventura amazônica. São Paulo : Melhoramentos, 1992. 100 p.
--------. [f], [ñ], e [h] : fonogênese em Tiriyo (Karib). Boletim do MPEG: Série Antropologia, Belém : MPEG, v. 13, n. 2, p. 167-78, dez. 1997. PELLEGRINI, Marcos (Coord.). Relatório de viagem a Terra Indígena do Tumucumaque. Brasília : Ministério da Saúde, 1997. 43 p.
PEREIRA, Maria Denise Fajardo. Catolicismo, protestantismo e conversão : o campo de ação missionária entre os Tiriyó. In: WRIGHT, Robin (Org.). Transformando os Deuses : os múltiplos sentidos da conversão entre os povos indígenas no Brasil. Campinas : Unicamp, 1999. p. 425-46. --------. Tiriyó do Norte do Pará e sua experiência intercultural. In: RICARDO, Carlos Alberto (Ed.). Povos Indígenas no Brasil : 1991/1995. São Paulo : Instituto Socioambiental, 1996. p. 289-91. PLOTKIN, Mark J. An earthly paradise regained. Americas, Washington : OEA, v. 46, n. 1, p. 14-9, jan./fev. 1994. RIVIÈRE, Peter. AAE na Amazônia. Rev. de Antropologia, São Paulo : USP, v. 38, n. 1, p. 191-203, 1995. SILVA, Elzirene F. da; FAJARDO GRUPIONI, Maria Denise; GRUPIONI, Luis Donisete Benzi (Orgs.). Sero nai sataimo iwehtopompo : história do peixe-tesoura. São Paulo : USP-Mari, 2000. 43 p.
This page was last edited on 26 March 2018, at 17:21.